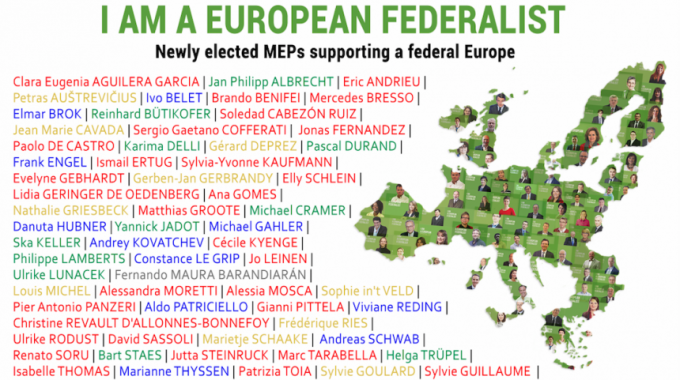 62 newly elected MEPs have pledged to support Federalist principles. They come from all hues of the political spectrum showing that Federalism remains a strong ideal among candidates who will form the next European Parliament. A strong core is now in place to begin working towards a better, united Europe when the new Parliament convenes. Leading candidates from almost all EU member states, including Spitzenkandidaten Ska Keller (Greens) and Guy Verhofstadt (ALDE), have signed the Federalist pledge. There are 4 main principles that European Federalists called candidates to support along our EP2014 Campaign “Towards Federal Europe”. Making the elections truly European by insisting that the next President of the European Commission is selected among the candidates nominated by European parties, building a democratic union by calling a constitutional convention, restoring the European economy by supporting the completion of the European monetary union and strengthening Europe’s role in the world by working for a truly European foreign, security and defence policy. Have a look at the on-line gallery of candidates who support a Federal Europe. There you will find out what they say about why they support our principles.